There’s no denying it—the gala dinners of the First Initiative Foundation (FIF) are the city’s most elegant and meaningful, and they just wouldn’t be the same without Adrian on the mic as MC. The eloquent Cambridge graduate and corporate lawyer by training has extended the FIF mission, as made apparent by the tables of young, engaged supporters who now gather at the annual events, and through his efforts to further the foundation’s cause—promoting the arts, design, music and education in Hong Kong. 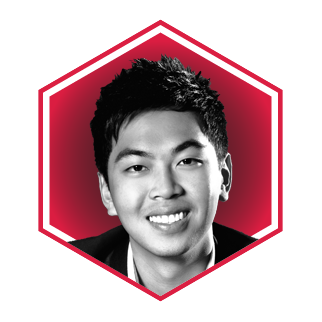 By raising funds for FIF outreach initiatives and yearly scholarships, he has created opportunities for countless students to pursue their dreams in Hong Kong and beyond, proving he’s much more than just the man on the mic. He's also recently turned his skilled hand to restaurants, opening traditional Shunde cuisine restaurant Stellar House, in Wan Chai. Is there anything this young entrepreneur can't do? Secret to Success: Making the most of his old-school charm for a good cause.